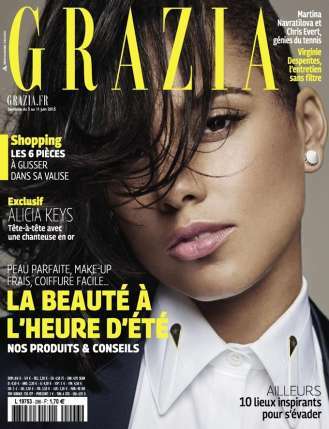 Award winning soul singer, Alicia Keys is the perfect cover girl for Grazia France June 2015 issue. The pretty mother of two was flawless with her hair sprawled on a side of her face for the cover shot. Alicia Keys who chose a white shirt and jacket for the conservative cover.